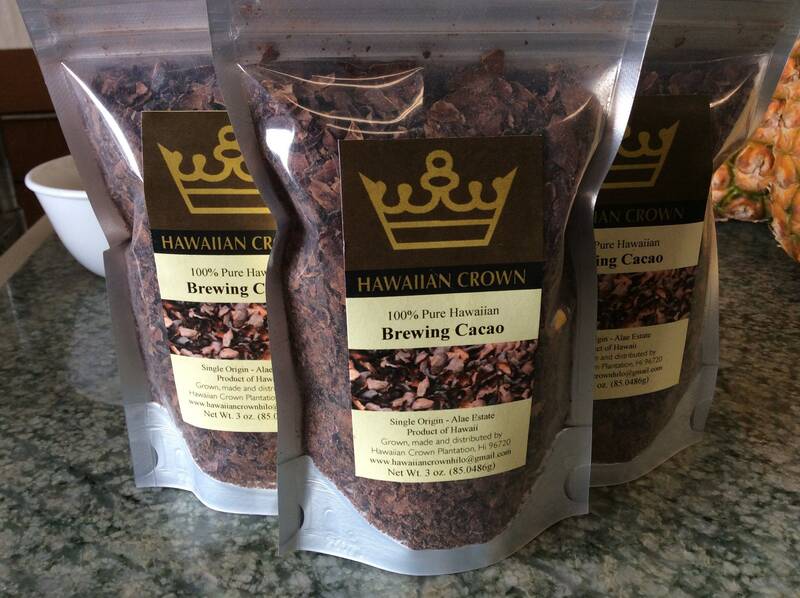 Brewing cocoa, or brewing cacao, is another great way to get your cacao fix! Many people use the whole beans to grind with their coffee beans, but the brewing cocoa gives you the same effect at a fraction of the cost. Brewing cocoa is made when the roasted whole cacao beans are winnowed, a process which cracks the beans into pieces (nibs), and removes the skins (the brewing cocoa!). Smaller bits of nibs and cacao dust remain with the skins to provide a great cacao taste. This product should be treated more like a loose leaf tea than hot chocolate, as there is no added sugar, and it will not melt down so will need to be filtered before consuming. Cacao is a natural superfood and high in antioxidants! All cacao contains theobromine (different from caffeine and meaning, "food of the gods! "), which is a natural vasodilator and heart stimulant, so it is a good for those with high blood pressure. But because it is a stimulant (less so than coffee), consuming it late at night may keep you up. Cacao is also a diuretic, so along with its antioxidants it can be a great natural help during menstruation.